Jacqueline McMickens is the founder of Jacqueline McMickens & Associates, PLLC, a full service practice specializing in matrimonial and family law, discrimination and civil rights litigation, real estate law, trusts and estates, legal services for faith based organizations, and criminal law. She also is a consultant for correctional systems and has worked as a special master for the State of Connecticut under the Connecticut District Federal Court. Ms. McMickens began her legal career as an associate with Boyd Staton & Cave, the first all female, African-American law firm in Brooklyn, NY. Later she was a sole practitioner for three years before founding her firm. Prior to embarking on her legal career, Ms. McMickens had served in a number of positions in both the public and private sectors. From 1987 to 1990, she was the Vice Chairwoman of the New York City Housing Authority. In that position, she was responsible for the maintenance and construction of public housing for 400,000 New Yorkers. In 1984, Mayor Edward Koch named Ms. McMickens Commissioner of the Department of Correction, making her the first female correction officer in the United States to become Commissioner of a major correctional agency. Before her appointment as Commissioner, Ms. McMickens served for five years as Chief of Operations for the Department of Correction, the first African-American female correction officer to become a four-star Chief of Operations of any correctional agency in the United States. During her tenure, female correction officers were fully integrated into the operation of all facilities and met the goal of insuring that 25 percent of all correction officers hired during the first phase were female. While serving as Chief of Operations, she was responsible for the single largest jail construction plan in the history of New York City at a cost of more than $900 million. At the Department of Correction, Ms. McMickens also blazed other firsts. She was the first female to command the New York City Department of Correction Training Academy, and during that period she opened the Department's first fully equipped training facility in Queens. She also was the first female to command a male medical facility, Kings County Psychiatric Unit, and the first female assigned to manage the security of a male correction facility. She joined the Department in 1964. While serving as Commissioner of the Department of Correction, Ms. McMickens attended Brooklyn Law School where she received her Juris Doctor. She also holds a Master's Degree in Public Administration and Bachelor's Degree in Criminal Justice, both from the John Jay College of Criminal Justice in New York City. Ms. McMickens holds Honorary Doctorates of Letters from St. John's College, and Miles College in Birmingham, AL. She sat on the board of the Women's Forum; and sits on the board of the Brooklyn Law School Alumni Association. Ms. McMickens attends Kenilworth Baptist Church, Brooklyn, NY. She is married to William McMickens and they have three sons, Lennel, Charles, and Barry, and three grandchildren, Clay, Reed, and Grace. Ms. McMickens can be reached at 718-596-4877, ext. 12, or jacqueline.mcmickens@mcmickenslaw.com. Jacinth Fairweather-Panton is an attorney with Jacqueline McMickens & Associates, PLLC, and has more than 20 years of experience in the financial services industry. She is dedicated to helping clients plan for the future, save for retirement while reducing their tax liability, and seamlessly transfer assets to successive generations. 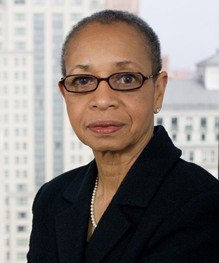 Prior to beginning her career in law, Ms. Fairweather held the position of Vice President at Chase Bank, NA. During her tenure at the bank, she held key management positions and consistently enhanced the organization's bottom line by driving change and achieving results. While at Chase Bank, she held a New York State life and health insurance license, and held series 6 and 63 registrations. 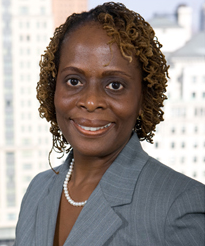 Ms. Fairweather-Panton holds a Bachelor's Degree from Baruch College in New York City and received her Juris Doctor from The New York Law School. Ms. Fairweather-Panton entered the practice of law in 2007. She is currently enrolled at the Fordham University Executive Certificate in Financial Planning Program. Over the past five years, she has served as the Secretary of the Board of the Friends of Harlem Hospital, a community-based auxiliary dedicated to raising funds for the hospital. She also is a member of the Harlem Chamber of Commerce, New York State Bar Association, New York City Lawyers Association, Westchester County Bar Association, and Westchester Women's Bar Association. Ann C. Northern has practiced real estate law for 23 years and offers a unique blend of real estate legal services to the residential and commercial real estate industry. She is of counsel to Jacqueline McMickens and Associates, PLLC. Mr. Northern's clients include mortgage lenders, architects, private investors, and municipal unions. She has experience working with municipal agencies and nonprofit funding sources to develop subsidized housing projects, and has practiced landlord/tenant law. Ms. Northern presents courses in Real Estate Law, Civil Law, and Procedure and Legal Documentation to paralegal certificate students in college programs. She has served as an Administrative Law Judge for the New York State Department of Labor, and as a hearing officer for the New York City Transit Authority. She is an arbitrator for the Financial Industry Regulatory Authority (FINRA), and is a member of the New York State Bar Association, Real Property Division. A graduate of the University of Pennsylvania, and St. John's University School of Law, Ms. Northern is a member of the New York State Bar. She is admitted to practice before the United States Disctrict Court both in the Eastern District and the Southern District of New York. 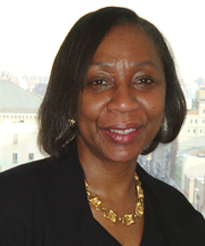 Her community activities include serving as a former Board Member and Assistant Secretary for the Visiting Nurse Association of Brooklyn; Board Member and Vice President of Neighborhood Housing Services of New York City, Inc.; Past President of Jack and Jill of America, Inc., Brooklyn Chapter; Advisory Board Member and Past Vice President of Neighborhood Housing Service of Bedford Stuyvesant, Inc..
Ms. Northern can be reached at 718-596-5168, ext. 15, or anorthern@jmcmickenslaw.com. Representing lenders in 1-4 family residential and co-op transactions. Negotiating and drafting commercial construction loan agreements for multi-million dollar real estate development projects. Preparing residential contracts for single and multi-family purchases and sales. Reviewing condominium and cooperative offering plans. Preparing and reviewing commercial and residential leases. Mr. Solomon's practice focuses on personal injury and civil litigation. He also provides drafting, research, and trial support in various matters handled by the firm. Prior to entering the legal field, Mr. Solomon spent 10 years working as a Research Scientist in the field of molecular biology at Mount Sinai Medical School and ImClone Systems Inc. He earned a Bachelor of Science degree in Biology from The City University of New York at Brooklyn College. He received a Juris Doctor degree from The Jacob D. Fuchsberg Law Center at Touro Law. At Touro he was awarded the coveted CALI Award for academic excellence in Patent Litigation. Mr. Solomon is admitted to the New Jersey and New York State Bars. Mr. Solomon can be reached at 718-596-5168, ext. 14, or phillip.solomon@mcmickenslaw.com.